The RBC Heritage will be held April 15 – 21, 2019 on beautiful Hilton Head Island, and it is expected to be one of the best years ever! Held each April on the Island, thousands of people make their way to Hilton Head, SC to be a part of South Carolina’s only PGA event. Held annually on The Sea Pines Resort’s famed Harbour Town Golf Links, the RBC Heritage is one of golf’s most notable tournaments. This popular family-friendly event features some of the biggest names in golf and is very popular with thousands of spectators from around the world in attendance each year. The Heritage is also a favorite among TOUR players, many of whom enjoy staying with their families at The Sea Pines Resort and enjoying the amenities of Island. 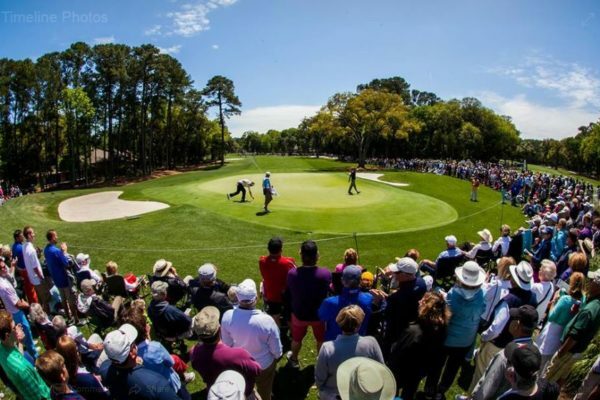 The RBC Heritage is one of the few golf events that enables fans to get up-close and personal with the players and The Dufrene Group would like to give you a chance to experience that! Visit our Facebook page now to enter! You could be the lucky winner of the drawing on April 7! This year’s tournament promises to be another year of exciting golf and fun filled Island events. Harbour Town Golf Links in The Sea Pines Resort will be where the party is this April, so be sure to get your tickets soon to be a part of the festivities. Learn more here. 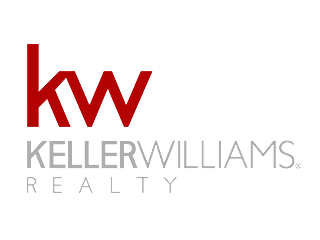 The Dufrene Group Keller Williams is here for all of your Hilton Head Island and Bluffton real estate needs! We have expert agents ready to help you sell your home or find the perfect Low Country dream home to buy. Call or message us to get started today! The most recognizable Hilton Head landmark, the world famous Harbour Town Lighthouse, was built in 1969 in an effort to help ships traveling along the Intracoastal Waterway and Calibogue Sound see better at night. It was the first privately financed lighthouse to be built since way back in the 1800’s so it was the talk of the town. 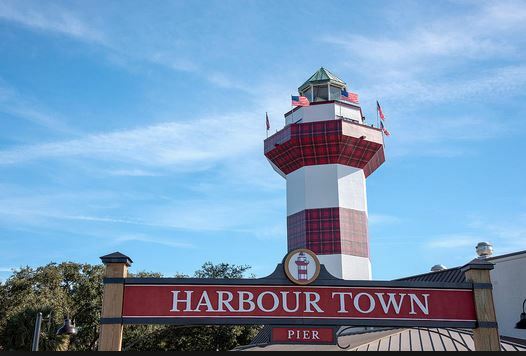 Today, the popular 93-foot red and white striped lighthouse welcomes you to the Harbour Town Yacht Basin and is open to the public. There are 111 stairs to the top of the lighthouse that leads to a gift shop, museum, and a top-level viewing deck that provides panoramic views of the Calibogue Sound, Daufuskie Island, and Hilton Head Island. These 360-degree panoramic views of the water, marsh, Harbour Town Golf Links, and the marina, are some of the best on the Island. Check out the webcam here! Guests are welcome to take a self- guided “Legends Tour” in the Historic Museum to learn more about the Island’s history and the creation of the lighthouse. In addition, the Top of the Lighthouse Shoppe is a unique and popular boutique with lighthouse figurines, Harbour Lights collectibles, t-shirts, local art, jewelry, Christmas ornaments and more! We’d love to have you as a neighbor! 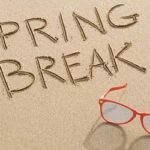 Are you thinking of buying a home or vacation villa on Hilton Head Island or in Bluffton, SC? The Dufrene Group can help! Check out available Hilton Head Island homes for sale here or feel free to contact us for more info at (843) 707-2267 or email us here! We are ready to help you find your Low Country home! Millions of people visit the Bluffton and Hilton Head Island, SC area each year. Some come to relax on our pristine beaches, others love the laid-back vibe and tons of family-friendly activities, and then there are the golfers! 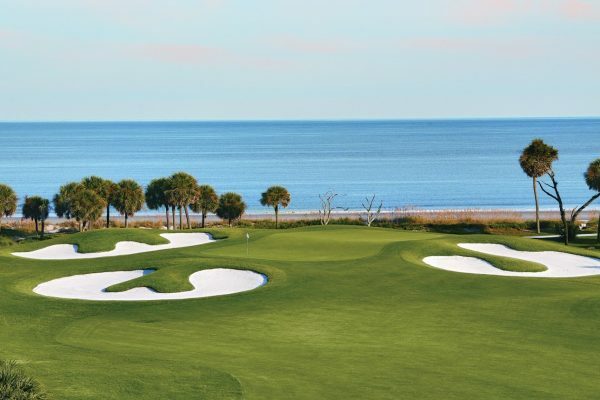 These folks know that some of the most beautiful and challenging golf courses in the world are hidden behind area plantation gates with breathtaking ocean views and unique Low Country Live Oak and blossoming magnolia tree-lined fairways. In fact, it is because of these world-class golf courses that many people are interested in homes for sale in Bluffton and homes for sale on Hilton Head Island. There are so many golf-oriented communities in the Low Country area, that living on or near your favorite course is as easy as asking a Bluffton Realtor to show you the available properties in your price range! From beautiful condos on the Harbour Town Golf Links on Hilton Head Island to a sprawling home on the Colleton River Plantation Golf Course in Bluffton, our Realtor in Bluffton can show you exactly what you are looking for in a golf-oriented home. Check out some of the most popular golf courses in the Bluffton and Hilton Head Island area. If it is your dream to live on one of these beautiful golf courses in Hilton Head or Bluffton, SC, our team of experienced Realtors at the Dufrene Group in Bluffton is ready to help make your dream come true. Just give us the word and we can create a list of all the golf-oriented properties for sale in Bluffton and Hilton Head Island for you to visit. Simply let us know your favorite golf homes for sale in Hilton Head or Bluffton and we will take you on a tour of them! Contact us today to schedule your tour of golf course homes at 843/707-2267 or contact us here.